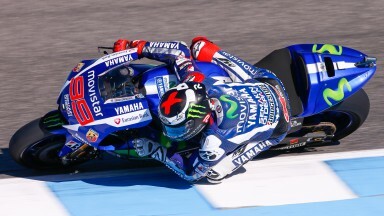 Jorge Lorenzo left it late to stamp his authority on FP3 as the big names all make it through to Q2. 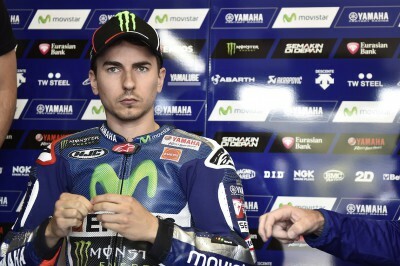 Movistar Yamaha’s Lorenzo has dominated every session so far at the Gran Premio bwin de España, although he left it until his last lap in FP3 to set the fastest time of the weekend so far. The Spaniard also set a number of laps consistently in the low 1’39’s, highlighting how much of a threat he will be during the race on Sunday. 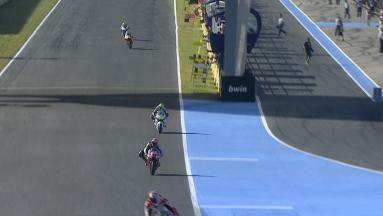 With the session deciding who would make it through automatically to Q2, Cal Crutchlow was the first rider to go under the 1’39 mark this weekend on just his third lap. 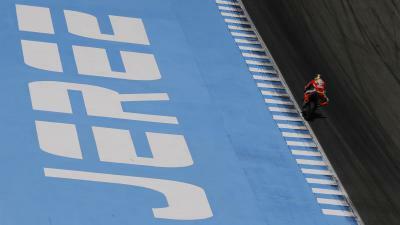 Repsol Honda’s Marc Marquez responded almost immediately as riders focused more on race pace than trying to set a flying lap for the majority of the session. As the clock ticked down though, everyone came in for fresh rubber and the timing screens went into meltdown. A number of riders claimed top spot before Lorenzo showed he wasn’t going to let anyone on a soft tyre intimidate him and set a 1’38.493, only just over three-tenths slower than Marquez’s pole record from last year. Monster Yamaha Tech 3’s Pol Espargaro was the surprise package, as he finished the session just 0.054s behind Lorenzo on the satellite M1. Cal Crutchlow (+0.082s) on the CWM LCR Honda had led the session earlier, and looks extremely quick around the 4.4 km Circuito de Jerez, finishing on the provisional front row in 3rd. 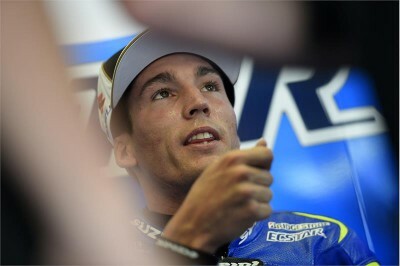 Team Suzuki Ecstar’s Aleix Espargaro (+0.160s) finished in fourth as he made use of the soft tyre option, as did Andrea Dovizioso (+0.235s) on the Ducati Team GP15 who ended the session in fifth. 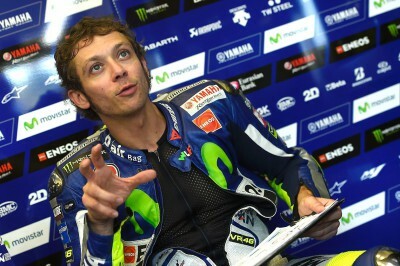 The current Championship leader Valentino Rossi improved on his efforts yesterday to finish in 6th, ahead of the Repsol Honda of Marc Marquez, who could only manage 7th on the RC213V. Andrea Iannone, Bradley Smith and Scott Redding completed the top ten and made it through to Q2 automatically, while Maverick Viñales, Danilo Petrucci and Yonny Hernandez will have to battle it for the top two spots in Q1. Hector Barbera was the leading Open class rider in 14th on the Avintia Racing Ducati, and with only a second separating him from Lorenzo, it shows how close things will be in Qualifying later. Check out the combined results from MotoGP™ Free Practice; Qualifying 1 will kick off at 14:10 local time in Jerez. Jerez saw Lorenzo silence his doubters, Rossi claim his 200th GP podium, and Iannone make a crucial mistake on the starting grid. 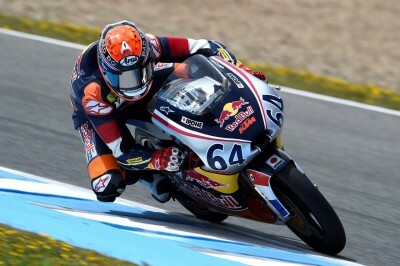 Leopard Racing’s Danny Kent showed his true race pace to top the timesheets in Moto3™ FP3 at the Circuito de Jerez. 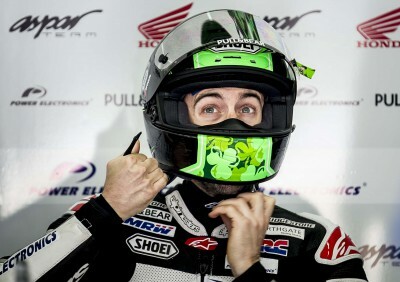 Aspar MotoGP Team’s Eugene Laverty sets his sights on automatically making it through to Q2 at the #SpanishGP. 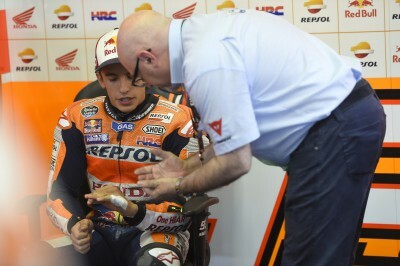 The Vice President of HRC discusses whether Casey Stoner could fill the injured Dani Pedrosa’s place in the Repsol Honda Team.